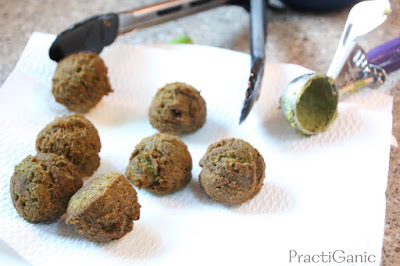 Let's just say falafel has been my nemesis in the kitchen for the last 10 years ... 10 years ago is when I first had falafel! We were at a music festival in Tennessee and it was quite possibly the best thing ever! Some guy was selling them, 'fresh' out of is trunk. If you've ever been to a big music festival, this is completely normal! At first I thought it was so good because I was super hungry and didn't think much of it. When we got back home and saw it on a menu, I didn't ignore it like I had in the past ... I ordered it and it was delicious (but still not as good as at the fest!). 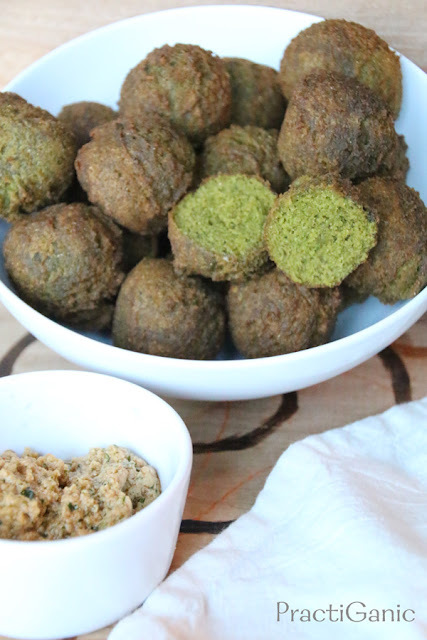 Since that monumentous occasion, I have had countless types of falafel and even made too many batches to count. 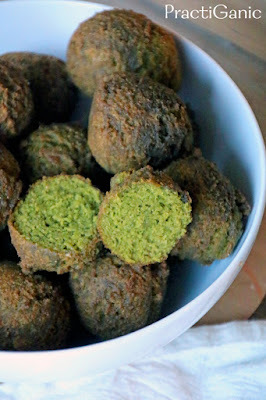 However, in the past three years I have completely given up my goal to make a good falafel. Every time I made them at home, the consistency was all wrong, the flavor was subpar and they would usually fall apart. I finally decided, this is one thing to leave to the pros and quit trying. I know I always say, try try again ... but, as far as I could tell, the relationship with falafel and my kitchen was over. Last month, we were out to eat with our cousin and he mentioned that he made falafel the night before and it was delicious. After rolling my eyes I told him about how I was physically incapable of making it. Then, he introduced me to the secret ... dried chickpeas and frying. As I quickly went back in my memory, I truly believe I had always used canned chickpeas. This may be the reason that they were too wet or crumbling apart. That, and the fact that always tried baking them. I am not a big fan of frying, but when it comes to the crispy outside and the moist inside, there is just no way around it. With those two points, I had to try to make them again. 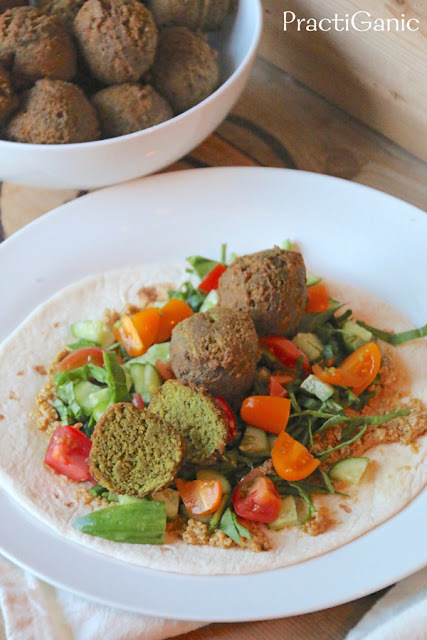 I pulled out a couple different falafel recipes I had played with in the past and put together a new recipe with my 'new method'. Needless to say, I was not excited and even had a back-up dinner planned in my head when this failed. To my complete surprise, they worked! The flavor was still a little subpar, but the actual falafel was crispy on the out and soft and moist on the inside. I was ecstatic! The whole family loved them even though the seasoning wasn't the greatest. How on earth do I payback my cousin for giving me the secrets of falafel success?! I was so excited that I made them again just a few days later to play around with the spices. After a few more 'spice' attempts, I have finally found my festival falafel! The only difference from the festival was I make mine with a yummy tahini lemon sauce which in my eyes falafel should not live without. Still, with every bite I take, it brings me back to seeing Tom Petty, Radiohead, Phil Lesh and Friends, The Cat Empire, G. Love, Beck and so many other amazing acts that we saw that weekend. Thank you, falafel ... food truly is nostalgic! veggies for serving with. I like cucumbers, tomatoes and fresh greens. In a bowl, place your chickpeas in water. Let them soak overnight. Make sure you have a lot of water in the bowl so that they can really hydrate! In a high-speed blender, Vitamix or food processor, blend all ingredients until everything is well incorporated. 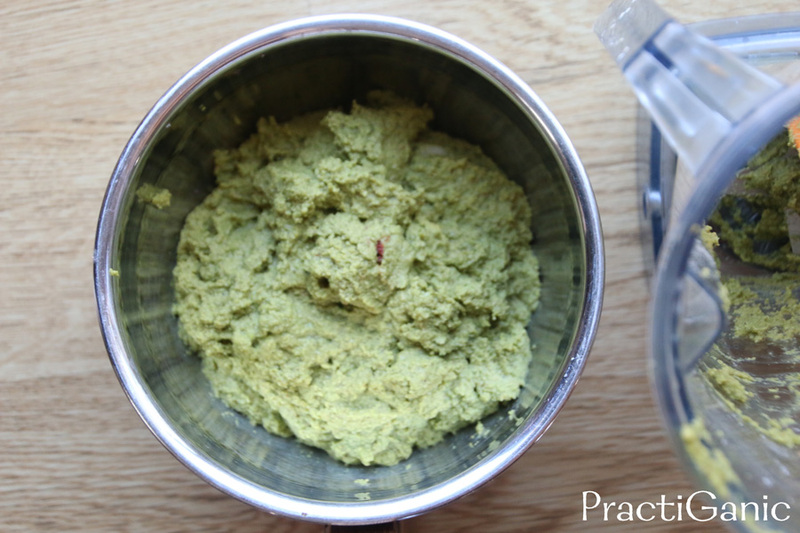 Place mixture in the refrigerator for an hour or two to firm up (it is a wet mixture). When you're ready to cook your falafel, heat two inches of oil in a pot. I like to use a smaller pot so that I'm not wasting a lot of oil. 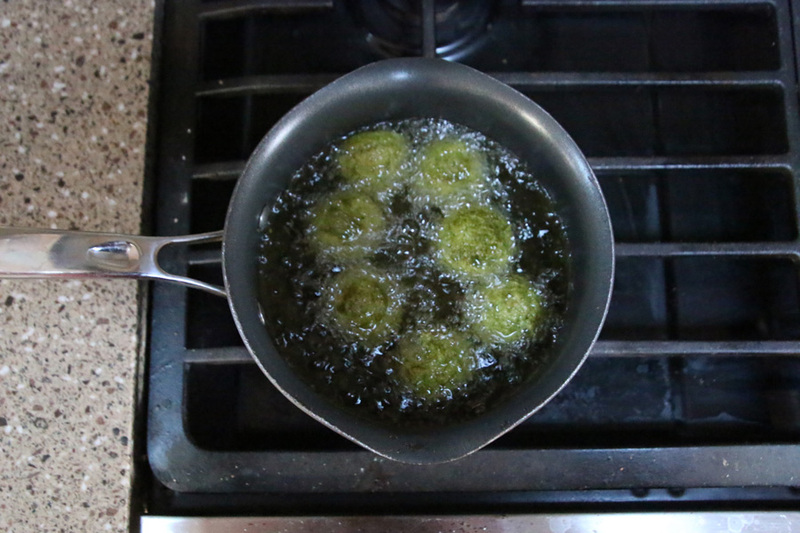 When the oil is hot enough, start scooping out 1 1/2 inch balls out and placing them in the oil. I let mine go for 3-4 minutes and then roll them around to the other side to make sure all sides are done. If you use a ton of oil, you shouldn't have to flip them. Place them on a paper towel to soak up any extra oil. 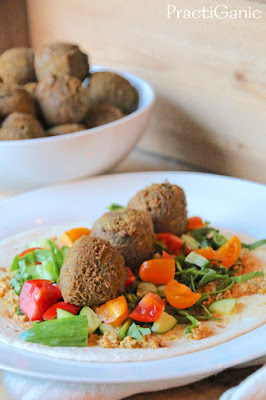 On your pita bread, wrap or greens ... place a couple of the falafel balls as well as the tomatoes and cucumber. Top with some lemony tahini sauce and enjoy! 1 big juicy lemon, juiced ... use two if you don't have a juice one!